Recipe video above. A terrific bright sauce with natural richness from avocado! 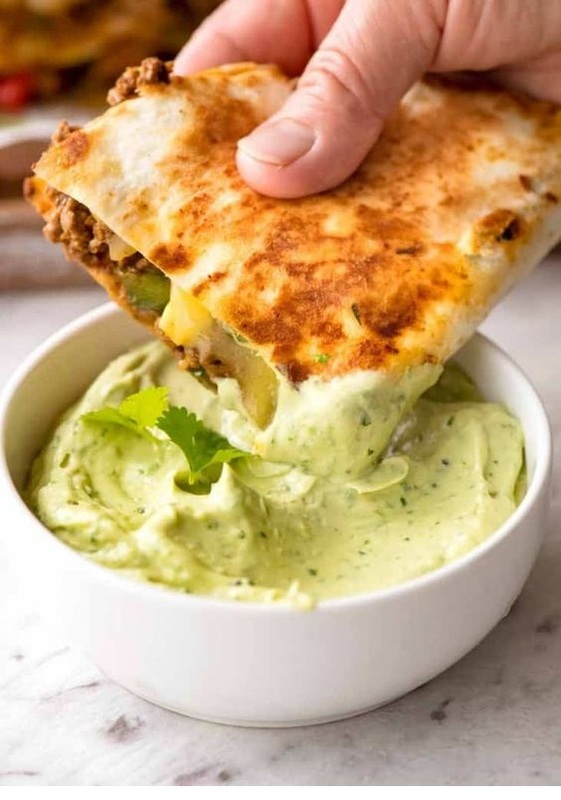 Use for dipping and dolloping for all things Mexican - quesadillas, nachos, tacos, burritos - or for chips, crackers, vegetable sticks. Combine all ingredients in a food processor, blend until very smooth. Use water to adjust consistency as required. Adjust lemon or lime as required. Should have a bit of tang if intended to be paired with rich, bold flavoured food like Mexican food. Keeps for 4 days in an airtight container - and stays green!